As a mother myself, I know there are few milestones in life as unique and life-changing as the arrival of your newborn baby. A time of absolute wonder and awe at the miracle of life, filled with the deepest and truest love you could ever have imagined.... a time that is ever so fleeting and passes us by in a whirlwind of joy and explosion of emotions..... a time that is worth capturing forever. Not only is a new Baby born to this world, but a new Mother is born, and this is truly one of the most beautiful life transformations I feel incredibly honoured to witness and capture in my sessions. I specialise in Fine Art In-Home and In-Hospital Newborn Photography. I believe in capturing the ESSENCE, not only of what it looks like, but what it FEELS like to become a Mother, to have your precious newborn enter your life, to hold him in your arms and in your heart for the rest of your days. I provide a completely personalised and bespoke photography experience in-home, in-hospital, or both. 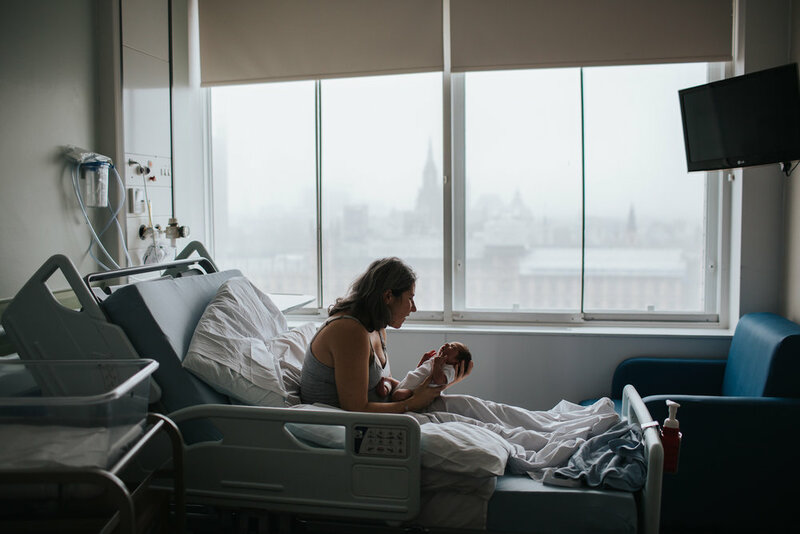 My sessions centre around emotions and connection, and I believe there is no better setting than your first days in hospital or at home to create a relaxed and intimate atmosphere where those emotions can flourish. Your photographs of this momentous time in your life will truly showcase all the tiny details and emotions you lived through, those that your memory will evoke when you close your eyes and take a deep breath to take it all in, those that you will hold onto and cherish the most in the future when your babies are grown. I can’t thank Carla enough for the beautiful collection of images that she has given us. In addition to the maternity shoot, she helped us document our journey into parenthood doing a shoot in hospital and then later, the first month of our son’s arrival. The pictures tell a wonderful story and truly have captured the raw emotions of becoming a first time parent. Carla is amazing to work with, so patient, generous with her time and made us and our baby feel very comfortable in front of the camera. We now have a beautiful collection of pictures and I’m struggling to pick which ones I like the best! I can’t recommend her more highly. Collections of image packages, fine art albums and fine art prints start from £395. Please enquire for full details and pricing. Gift cards for photography sessions are available upon request. I work with the finest stockists in the UK to deliver premium, hand crafted photography products that will remain timeless classics and withstand the test of time for generations to come.